The questions were simple and direct, striking at the core of American democracy. 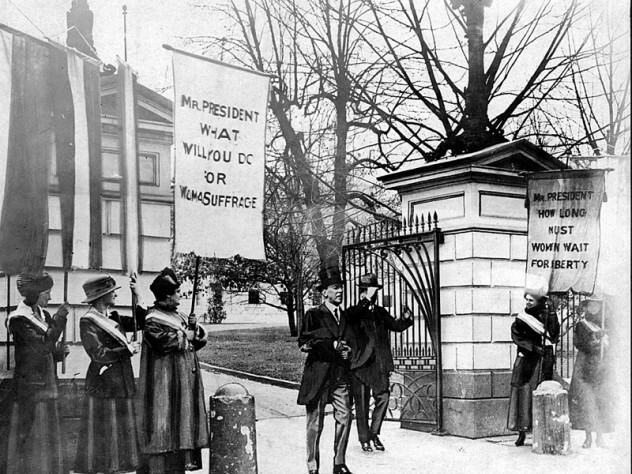 The president tried to ignore the women, hoping they would give up and go away. When they didn’t, D.C. police arrested them on a variety of nuisance charges. 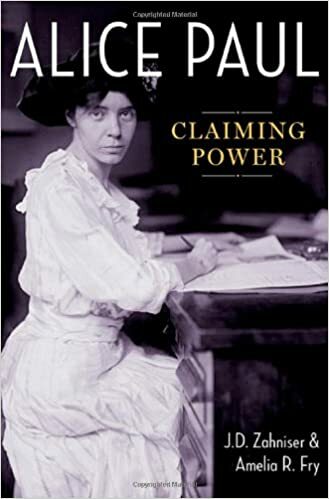 Most women, including Alice Paul, chose jail over bail. The perpetual delegation kept vigil for a year and a half, braving all kinds of weather and harassment from onlookers. 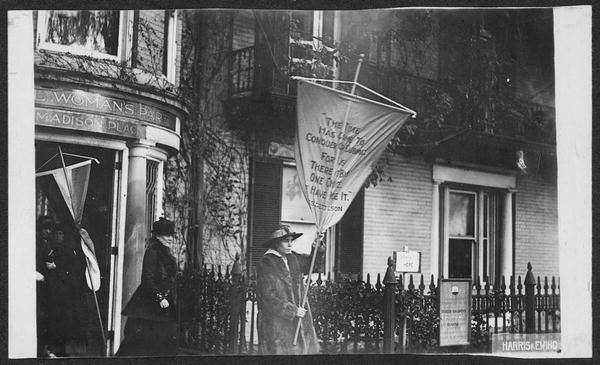 Because of the perseverance of the NWP and other suffragists, American women achieved the right to vote in 1920.